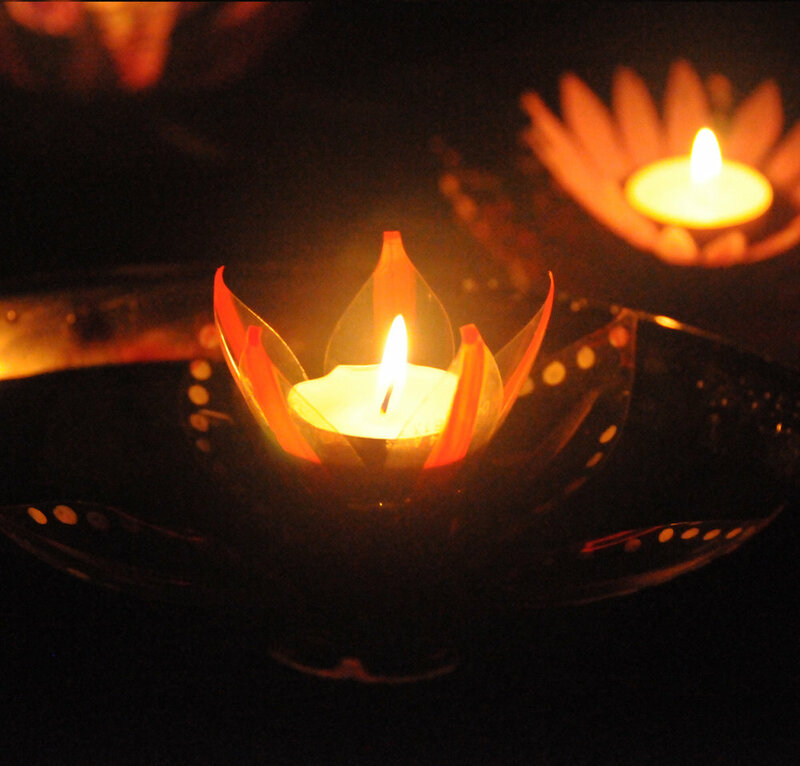 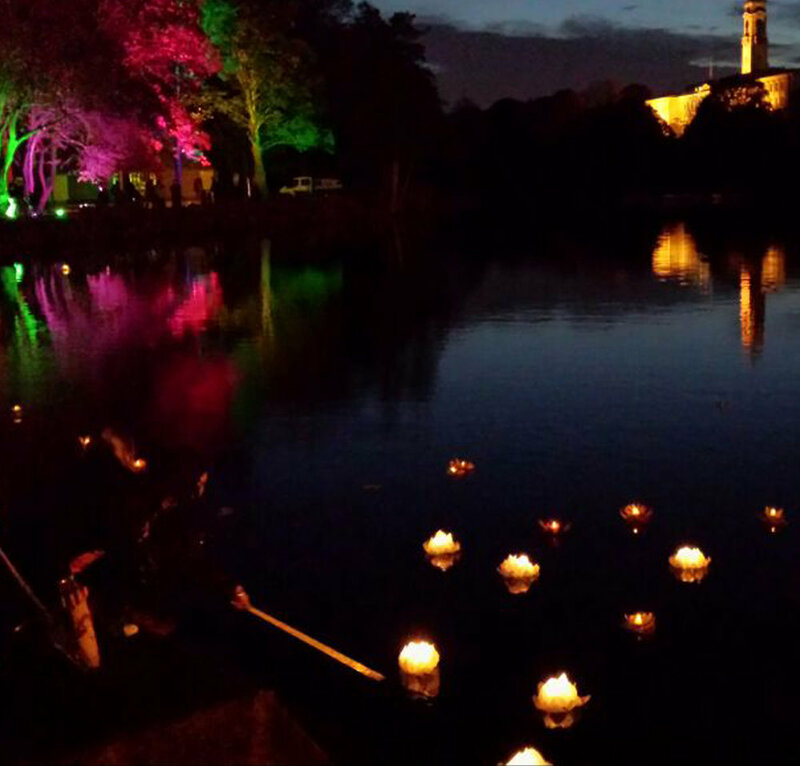 Five hundred beautiful plastic bottle lotus flowers were made by Nottingham school children and launched at the lake to celebrate Diwali. 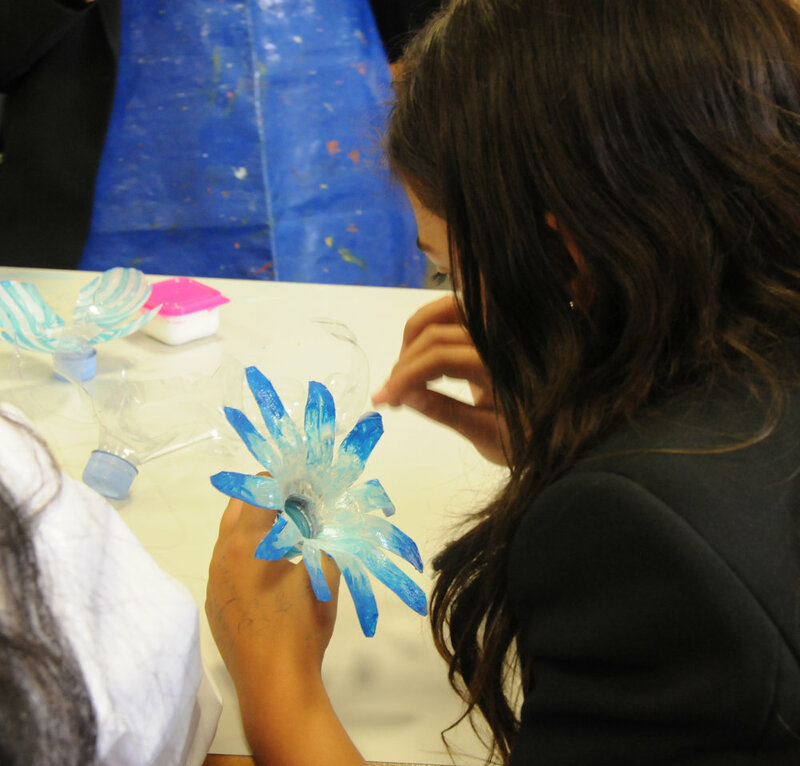 In the 2 months prior to the event, Sarah visited 17 schools in Nottingham and gave workshops to the children. 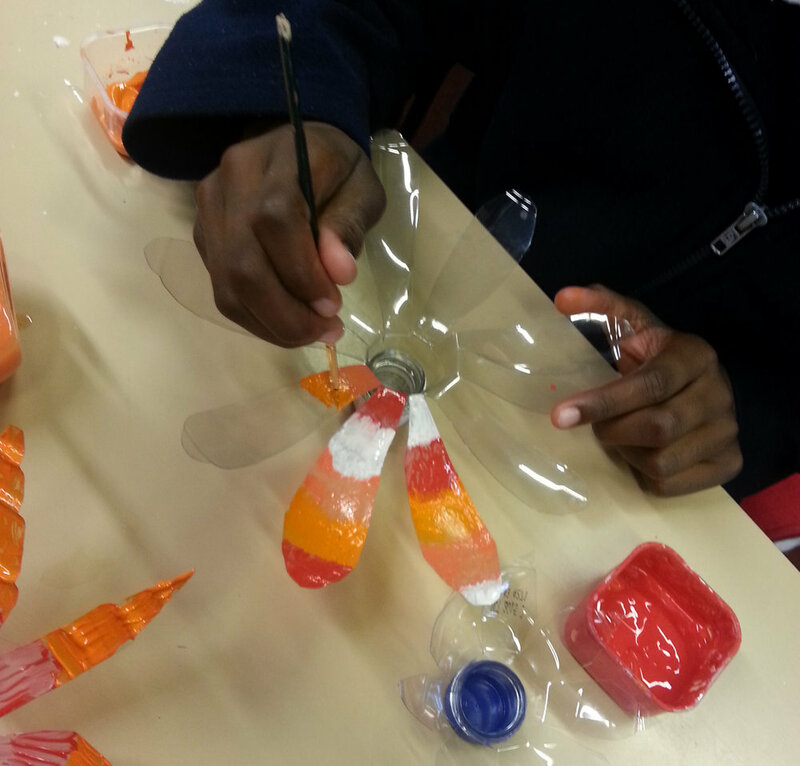 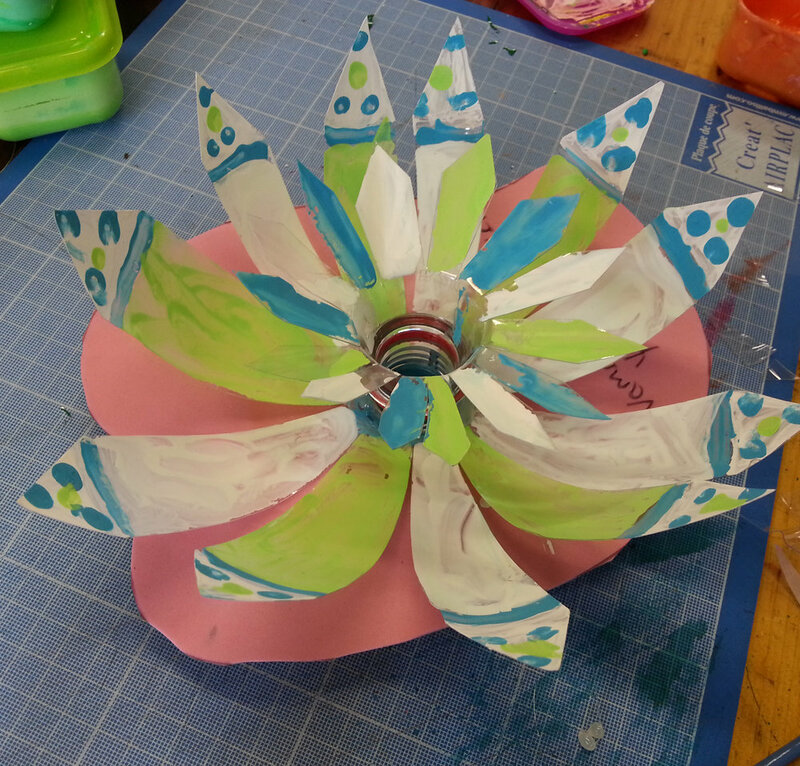 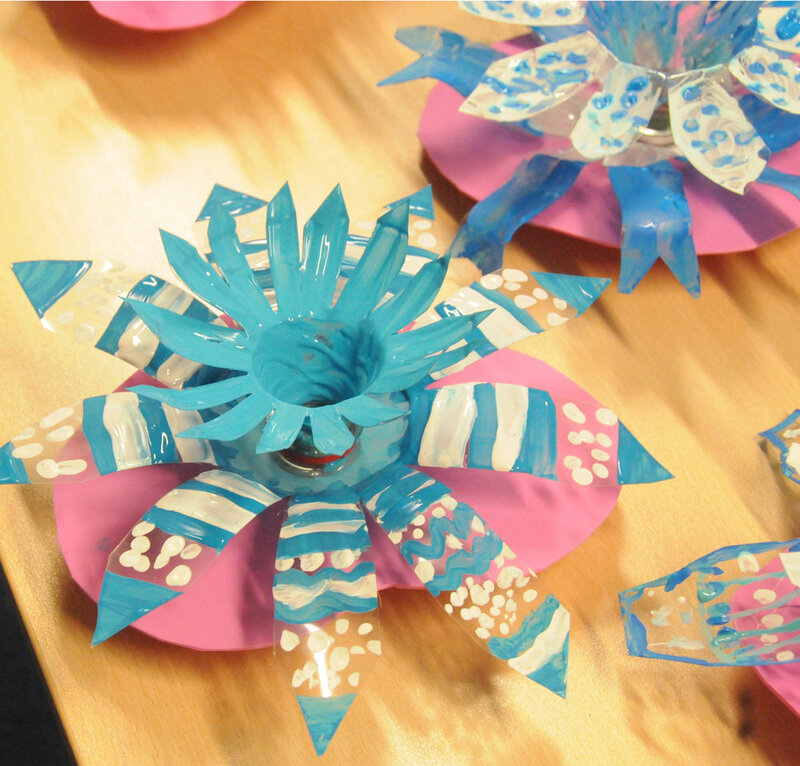 Each child collected two plastic bottles to make their flower design which they decorated beautifully with painted patterns. 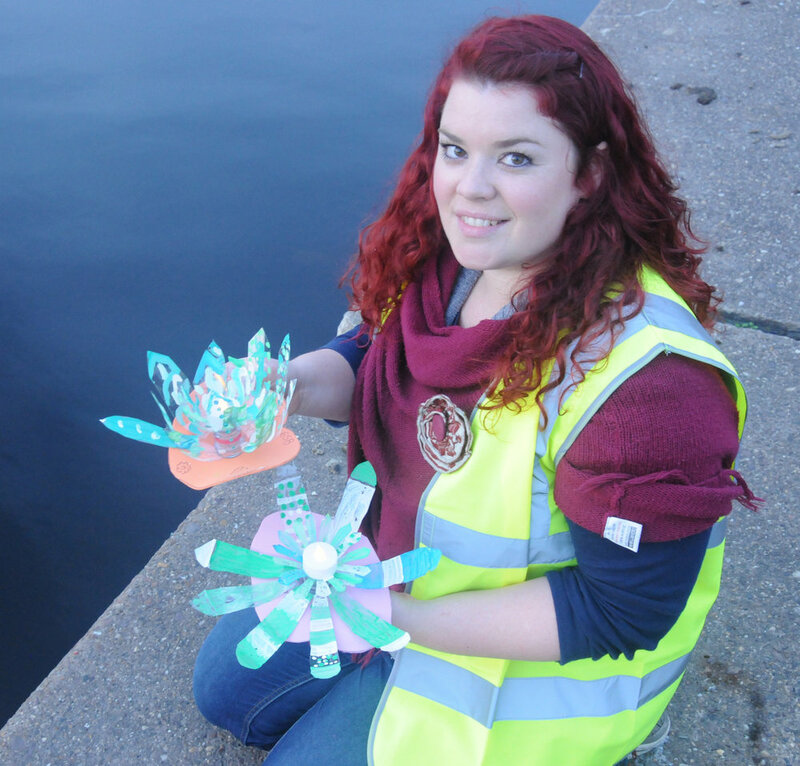 The children and visitors were then able to launch a recycled plastic bottle flower at the lake on the night. 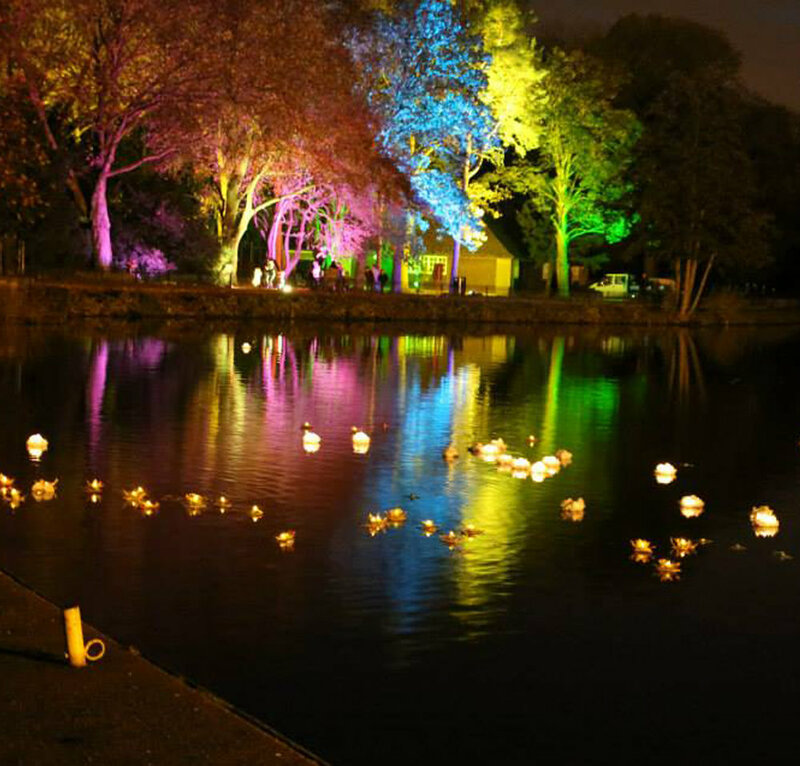 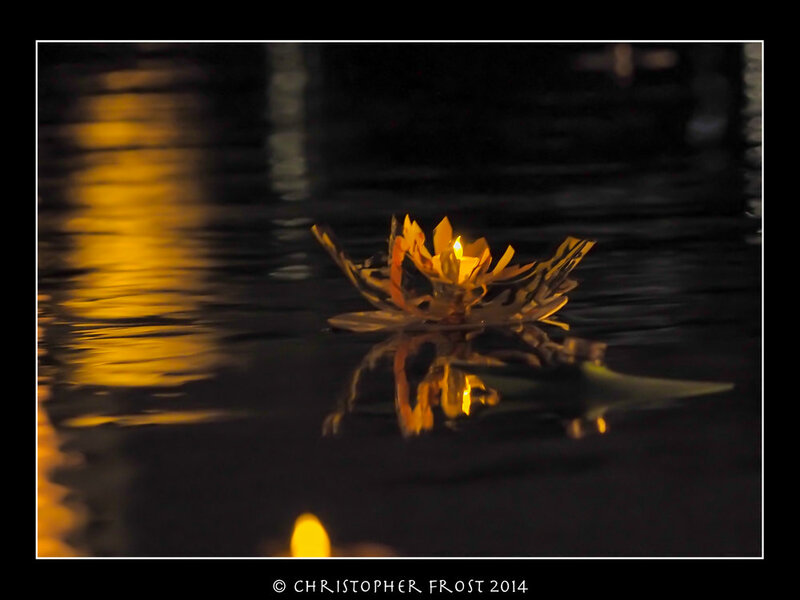 The 500 flowers floating on the lake all together looked absolutely stunning and a fantastic way for the children to celebrate Diwali. 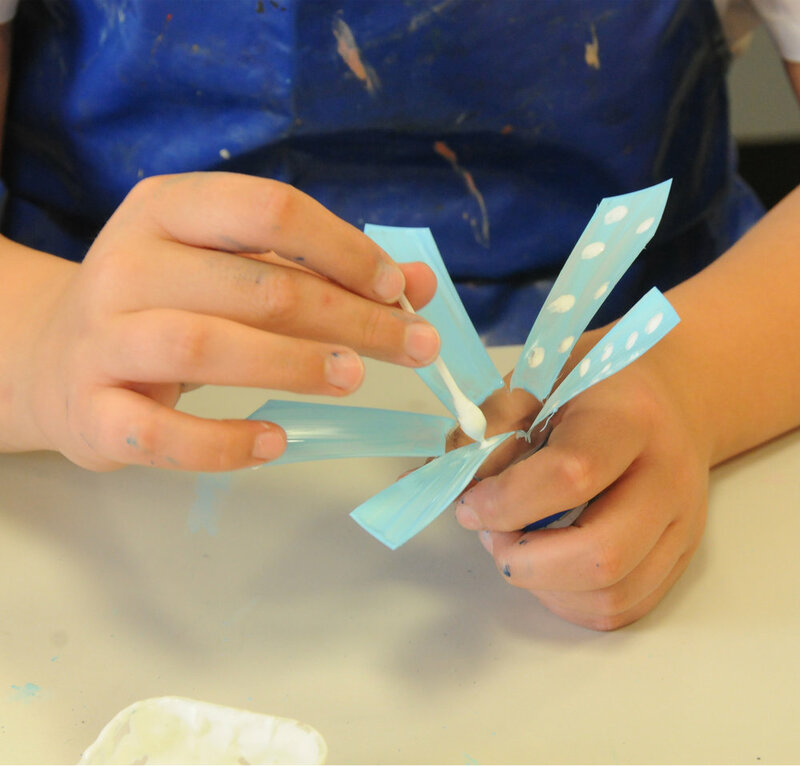 If you are interested in workshops for your school or organisation then please contact us.